The Hamilton Tiger-Cats announced Tuesday that the football club has re-signed international linebacker Larry Dean. Dean was eligible to become a free agent at 12 p.m. (noon) today. Dean, 29, earned East Division All-Star honours last season, and was named Hamilton’s Most Outstanding Player and Most Outstanding Defensive Player. He registered 96 defensive tackles, three special teams tackles, three quarterback sacks, eight quarterback pressures, three forced fumbles, one fumble recovery, five pass knock downs and one tackle for loss in 18 games in 2017 with the Tiger-Cats. The 6-0, 226-pound native of Tifton, Georgia, finished tied for second in the CFL in forced fumbles and was fourth in defensive tackles. 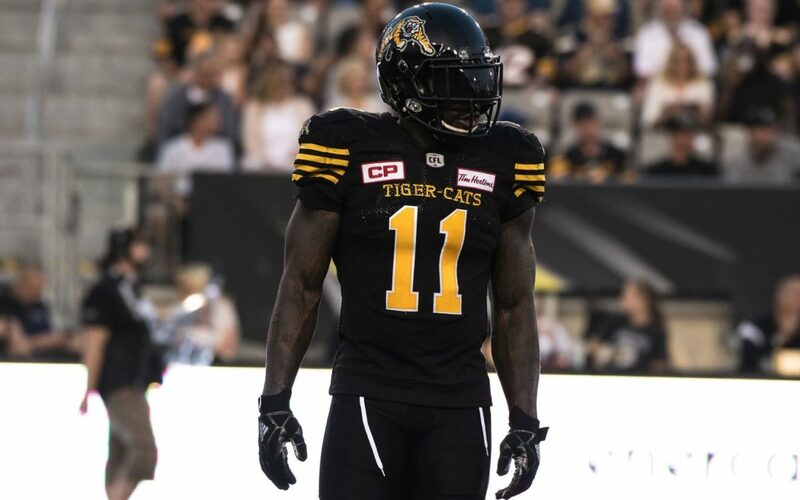 In 36 career CFL games (35 starts) since 2016 with the Tiger-Cats, Dean has posted 174 defensive tackles, four special teams tackles, five quarterback sacks, five forced fumbles, four fumble recoveries, one interception, nine pass knock downs and five tackles for loss. He was voted as Hamilton’s 2017 defensive team captain in just his second year in the CFL. Prior to his arrival in the CFL, the Valdosta State product appeared in 61 career National Football League games with the Minnesota Vikings (2011-13) and Buffalo Bills (2014), registering 37 defensive tackles, one forced fumble and one fumble recovery. In 2012, Dean was one of only 11 special teams players on the NFC’s Pro Bowl ballot.